There are new exciting technological changes on the horizon for those within the hospitality industry. From customer check-in kiosks to revolutionary data input systems, we’re heading full pelt into the 21st Century. Each Monday, join Adrian Easdown as he has enlightening chats with successful folks in the hospitality industry around Australia. If you’re involved in any way with caravanning, running a restaurant or working with any other sort of hospitality-based business, this podcast is perfect for you. 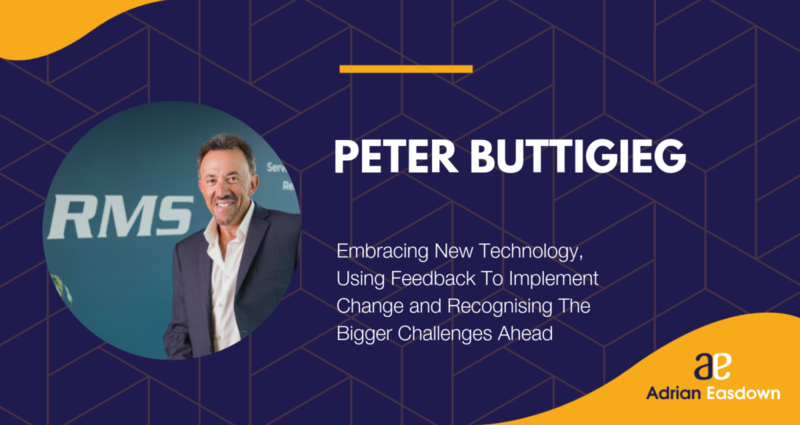 Peter Buttigieg is the CEO and Founder of RMS, a global Cloud Software Company that specialises in software solutions within the property management industry. In his 35 years in the industry, he has experienced the rapid transition into the computerised age. He’s been in the midst of so many technological changes, and along the way has had to convince the public to get on board too. Now the hospitality industry is getting online and technical, with parks and caravan sites looking to take on digitized systems. In this week’s episode, Peter and I dive into the trials and tribulations of being at the forefront of a tech revolution. We discuss the challenges hospitality is facing when it comes to technology, how technology is making things easier for everyone, and what we as an industry can do to stay ahead of the curve.